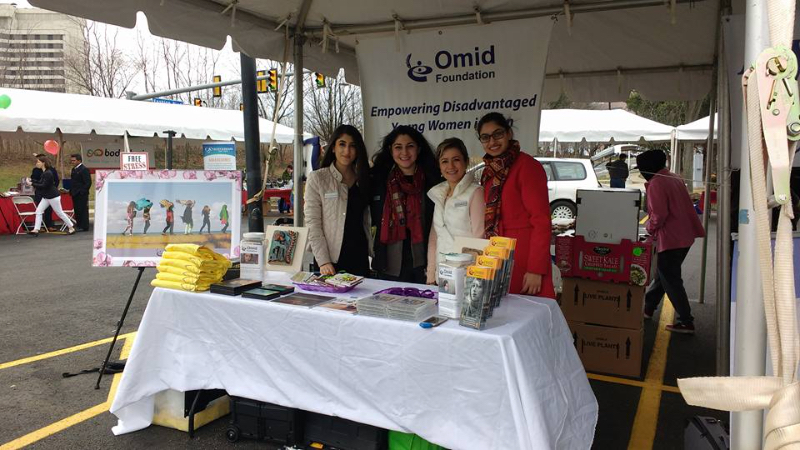 On Sunday March 13th volunteers from the Washington D.C. Chapter of the Omid Foundation represented Omid at the annual Nowrouz Festival of the Washington D.C. area. At this event volunteers helped spread awareness about the important work that Omid does. They raised funds, recruited new volunteers and new donors to help with OMID’s cause. In addition, they spread the word about Mehrdad Erfani’s 300 mile bike ride for OMID, which you can read about in more detail here Ride for Hope.